Sentinel Power is the ideal solution for powering sensitive, mission critical systems such as safety devices (electro-medical devices), ensuring maximum power reliability. 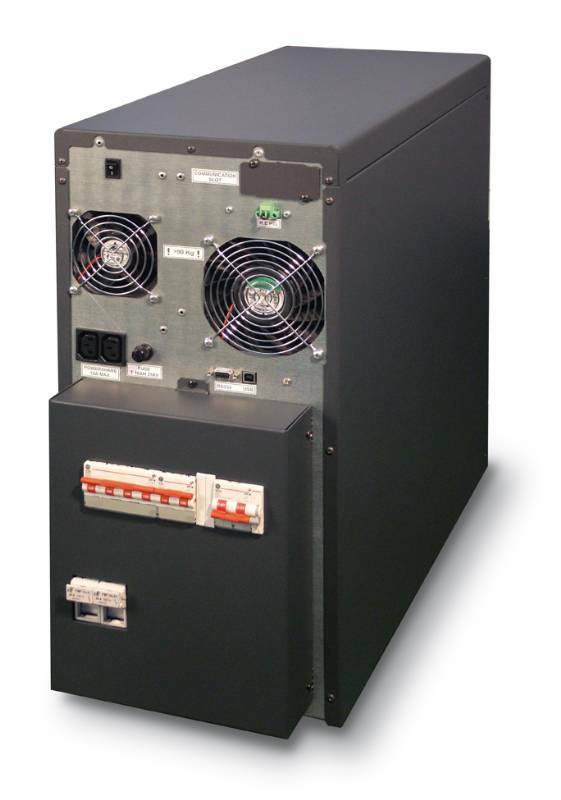 The series includes 5-6 kVA single/singlephase and 6,5-8-10 kVA single/single-phase and three/single-phase models with on-line double conversion technology (VFI): the load is powered continuously by the inverter which supplies a sinusoidal voltage, filtered and stabilised in terms of voltage, form and frequency. Input and output filters provide significant further immunity from mains disturbances and lightning strikes. In terms of technology, performance (selectable Economy and Smart Active Modes) and diagnostics (LCD custom display, RS232 and USB interfaces with Powershield3 software included, ESD input, interface slot for optional boards), Sentinel Power is one of the best UPS available on the market. Interruption-free static and manual bypass. Specifications guaranteed up to 40 °C (the components are designed to work at high temperatures and thus are subject to less stress at normal temperatures). The operating mode can be programmed via software or manually via the front display panel. 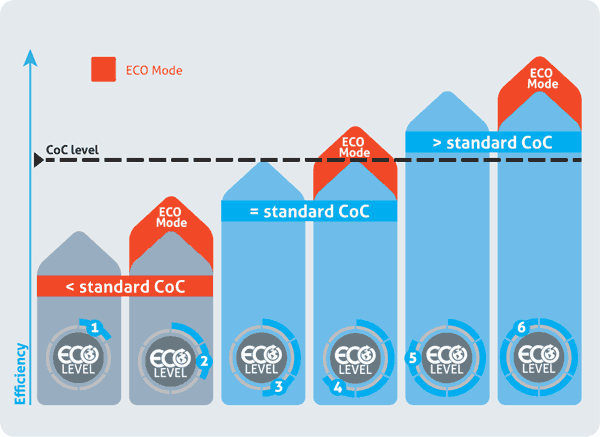 Economy Mode: to increase efficiency (up to to 98%), allows for the selection of Line Interactive technology (VI) to power low priority loads from the mains supply. 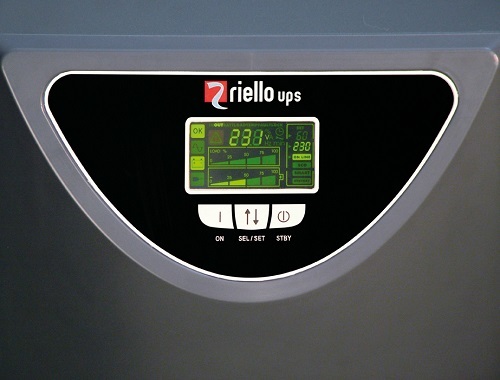 Smart Active: the UPS automatically decides upon the operating mode (VI or VFI) based on the quality of the mains power supply. Emergency: the UPS can be selected to function only when the mains power supply fails (emergency only mode). Frequency converter operation (50 or 60 Hz). Even with non-linear loads (IT loads with a crest factor of up to 3:1). High short circuit current on bypass. High overload capacity: 150% by inverter (even with mains failure). Filtered, stabilised and reliable voltage (double conversion on-line technology - VFI compliant with EN62040-3), with filters for the suppression of atmospheric disturbances. Two 10 A configurable IEC output sockets allow for runtime optimisation by programming the switching off of low priority loads on mains failure; alternatively, emergency loads that are normally not powered when mains is present can be activated. Sinusoidal uptake of input current on singlephase/single-phase series. UPS digital updating (flash upgradeable).